There is pressure now for it to be removed. A LITTLE-KNOWN appendix to the Army Field Manual, the government rulebook for interrogations that bans the harsh practices used after the 11 September attacks, still allows sleep deprivation and other sensory techniques that some say amount to a loophole to the US ban on torture. Interrogation professionals and international human rights groups want to see the entire 10-page Appendix M axed from the Army Field Manual, which is undergoing a congressionally mandated review. US officials insist that Appendix M doesn’t condone ill treatment of detainees, and that all parts of the manual must be applied in ways that ensure detainees are treated humanely. “We have been asking for changes to the Army Field Manual and Appendix M in particular for years now,” said Raha Wala, senior counsel for defense and intelligence at Human Rights First. There hasn’t been momentum. I now sense that in the first time in years, there is a real interest in looking at it. Their objections come at the same time that GOP presidential frontrunner Donald Trump wants the US to bring back torture, including waterboarding, a practice that simulates drowning. “They have no rules. They have no regulations. They chop off heads. They drown 40, 50, 60 people at a time in big steel cages, pull them up an hour later, everyone dead. And we’re working on a different set of parameters,” he said in Thursday’s presidential debate, explaining why he favours torturing Islamic State captives to get information. Mark Fallon, who has spent more than 30 years working in federal law enforcement and counterintelligence, said that domestic and international law forbids waterboarding and other so-called “enhanced” interrogation techniques. “I don’t think there’s much validity to Appendix M,” Fallon said. I think it can open the door to the types of abuses we have seen before. Fallon leads the research committee of the High-Value Detainee Interrogation Group, a team of interrogators from the FBI, Defense Department and intelligence agencies that is deployed to gather intelligence from violent extremists in the US and overseas. He was among more than two dozen former national security, law enforcement, intelligence and interrogation professionals who sent a letter last autumn to all of the presidential candidates, urging them to reject torture and cruel treatment. “It is counterproductive. It tends to produce unreliable information because it degrades a detainee’s ability to recall and transmit information, undermines trust in the interrogator, and often prompts a detainee to relay false information that he believes the interrogator wants to hear,” the letter said. That too was the finding of a 2014 Senate report, describing the CIA’s practice of torture against al-Qaida detainees after 9/11. The report said the agency’s interrogation programme was more brutal than previously understood and failed to produce unique intelligence that couldn’t have been obtained through more traditional methods. Some former CIA officials, however, insist that waterboarding and other harsh methods have yielded vital intelligence. “I believe that waterboarding was one of the two most effective of the all the harsh techniques (the other being sleep deprivation),” former deputy CIA director Mike Morell wrote in his book The Great War of Our Time. Human Rights First says a 2006 revision of the Army Field Manual opened the door to tactics that could be viewed as torture. The group said the revision also put unnecessary restrictions on an effective, humane interrogation technique known as “separation” — the practice of keeping a detainee away from negative influences of fellow detainees. The practice is not to be confused with “isolation” as a form of punishment or coercion. Another section aims at “prolonging the shock of capture by applying goggles or blindfolds and earmuffs to generate a perception of separation”. The UN committee said recent scientific evidence indicates this can cause a “state of psychosis”. Last year, the State Department said neither section of the manual would be implemented in an abusive way, and that all interrogation practices authorised in the field manual, including those in Appendix M, must be conducted in a way that ensure detainees are treated humanely. “The four-hour (sleep) standard is a minimum standard and it would not allow, for example, 40 continuous hours of interrogation with only four hours of sleep on either end,” the State Department said in a written response to the concerns. Email “Appendix M: The little-known 'loophole' to allow torture by US investigators ”. 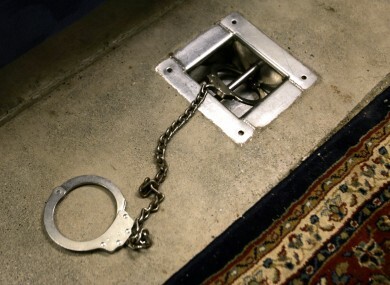 Feedback on “Appendix M: The little-known 'loophole' to allow torture by US investigators ”.